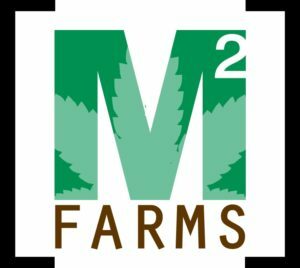 TULSA, OK, April 02, 2019 (GLOBE NEWSWIRE) — via NEWMEDIAWIRE — AppSwarm, Corp. (OTC: SWRM) announces it has executed a license agreement with M² Farms to utilize the DeliverySwift platform for their cannabis delivery service in Northern California. Under the agreement, DeliverySwift will provide all of the backend support via its DeliverySwift technology to help M² Farms grow their business model as well as comply with all track and trace laws. California’s Marijuana Enforcement Tracking Reporting Compliance (METRC) requires technical expertise for growers to provide for a real-time tracking system for their cannabis inventory to comply with state law requirements. The Track-and-Trace system, or something known as “seed to sale,” is designed to track the movement of cannabis and cannabis products from the cultivator all the way to the retailer and on to the consumer. DeliverySwift’s technology offers the ability for delivery companies, dispensaries and growers to track their shipments in real-time and with specific ID numbers, or QR codes to any location utilizing the GPS function of the DeliverySwift platform.